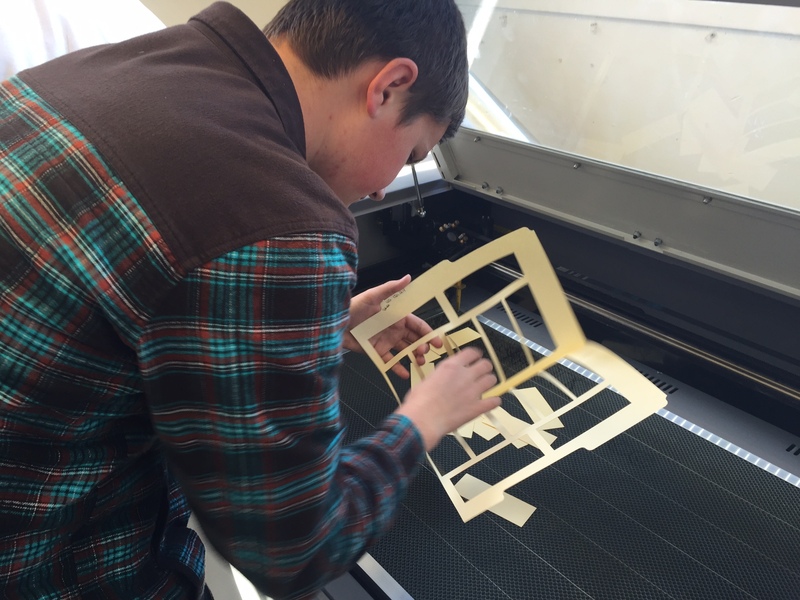 As the Maker Movement spreads into the halls of nearly every school across the country, and with it the technologies that tend to be synonymous with that movement, I thought it might be useful for me to write a reflection about how we have used 3D printing in our program and some of the things that others might want to consider when thinking about investing in 3D printing for their school. A 3D printer is any device that uses additive fabrication to essentially create some three dimensional object by building that object layer by layer. Currently the most popular way to do this in the educational sphere (because it is the least expensive) is to build the models by extruding melted plastic – similar to having a very precise hot glue gun. This has been the technology that we have used for the past five or six years in the Academy. Recently there has been an explosion in new inexpensive models coming to market that use light to harden photosensitive liquid polymers. These technologies (known as stereolithography and digital light processing – DLP) use a focused light source or laser to harden the liquid layer by layer. The finished model in most cases is made of some kind of plastic – ABS, PLA, etc. Although the technology is moving forward with other materials, any kind of printer that would be used in a classroom environment is going to make plastic models. Whatever the process of the 3D printer, these technologies are different from subtractive manufacturing which starts with a “chunk of stuff” and then carves the material away, leaving the 3D model. These always require some kind of cutting instrument like a hardened metal drill bit, or even possibly a laser or high pressure water jet. These methods are still preferred for the actual manufacturing of things like airplane parts, high precision medical instruments and all sorts of other machinery because these methods are highly precise and can be used to create parts from almost any material – metal, stone, plastic, etc. There are two issues with subtractive manufacturing though. The machinery is generally very expensive and learning how to use it properly is quite challenging. This printer has served us very well. It builds very precise models using really solid ABS plastic. Its precision comes at a cost though – it is quite slow. OK, its really slow! A nose cone for a rocket can take upwards of six hours to build! The other drawback of this printer is the cost and availability of build/support material. We just bought a complete restock of material and it cost us nearly $1700! Keep in mind that this should last us about six years to eight years. The other two models that we have are the ubiquitous MakerBot Replicator 2’s. These are much simpler to operate (when they aren’t clogged) and they are much faster. They are also much less expensive. The uPrint cost us about $20,000 dollars including the rinse tank, while each MakerBot Replicator 2 cost us about $2200. Actually one of the MakerBots was part of a DonorsChoose/Autodesk program that cost us nothing (thank you donors and Autodesk!). The material for these machines is much cheaper – about $90 to $50 dollars per spool, as opposed to about $200+ per spool for the uPrint. The drawbacks of these machines is that they need constant maintenance, manual calibration, and the models that they build are not as accurate nor as precise. We recently were very honored to be the recipients of a new 3D printer, donated by our high school’s parent organization – WeAreSR. Although we haven’t yet been able to use our new 3D printer from Kudo3D, we are excited by its potential. This DLP printer is said to have a much higher resolution, a much faster build speed, and a very large build volume. We will be posting an update once we get it running – which should be soon! The really rewarding educational aspect of 3D printing, from a teacher’s perspective, is the acceleration of the learning cycle. 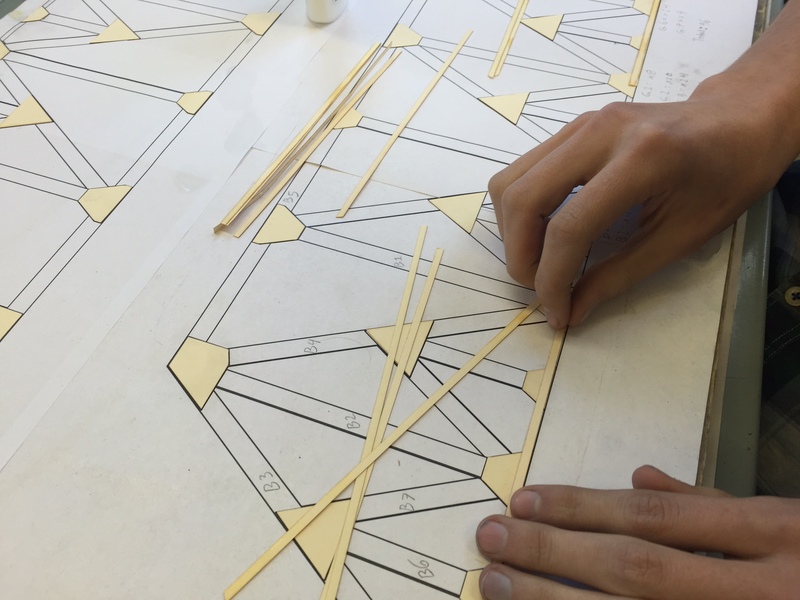 Students can quickly identify weaknesses in their designs because they can have a part in their hands in literally hours, then make adjustments and have a new version fabricated, sometimes in a single class period. This would be nearly impossible ten years ago. Now some might argue that it relieves students from the importance of having to think more carefully about their work, but I think this is outweighed by the advantage of allowing students to more quickly assess their spatial reasoning, and as long as we teachers force the students to also reflect on why their design failed or needed revision, then I think ultimately the students will learn more quickly. This does not mean that we always allow the students to print whatever they want. We do act as “gatekeepers” to the printers so that we aren’t wasting student time, our time and resources. The models must pass a few minimal requirements, such as double checking dimensions, seeing if the model could be made more efficiently as multiple parts, etc. The 3D printers have acted as a great arena for students to learn and develop their 3D spatial problem solving skills. To be clear, its actually the combination of 3D CAD software used to design the models and 3D printing to create the actualized models that helps students visualize, navigate and anticipate interesting three dimensional problems. Generally, the printers are used to create parts that are then used in more complex assemblies. The interface of these parts is where we see students encountering and having to solve complex spatial puzzles. 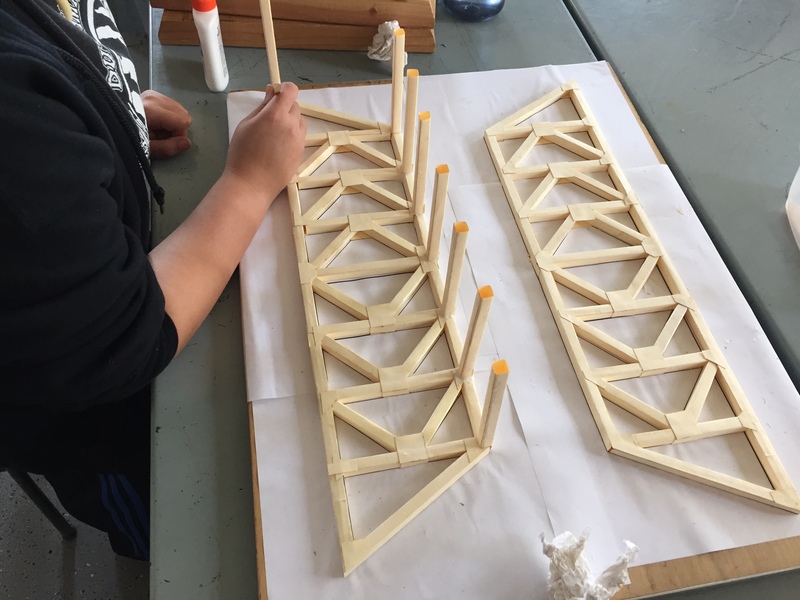 One of the things that I have witnessed is the advancing complexities of student designs as they become more familiar with the software and also develop their ability to mentally construct the spatial relationships between assembly components. At some point, I’d like to document this process and perhaps develop an assessment tool for measuring the development of these cognitive skills. One of my biggest complaints to the 3D printing industry is the lack of any clear and clean way to take 3D printed models that were unsuccessful and break them down back into raw materials for use in the printer. At the end of the school year, we have a fairly large bin of unwanted models that we collect for recycling. Some of the models are indeed recyclable while others are not depending on the material used. I think the manufacturers need to come up with a clear “cradle to cradle” solution for their printers that allow users to throw their models back into the machine to be re-extruded. It is theoretically possible and at least one company is offering a product called the Fillabot for addressing this issue. Now, in relative terms when compared to milling, 3D printing is pretty fast, but it is actually slow in the context of the classroom. Even though its called rapid prototyping, it can seem really slow for some folks who are new to the world of manufacturing prototypes. You see, in the past, modelers would make a prototype out of clay, create a mold, cast the mold, make refinements, etc. Or one would calibrate and setup the CNC mill, have to change out bits, run test cuts, etc. In this context, 3D printing seems rapid. But its still not Star Trek. The time can vary significantly based on the type of the printer, the complexity of the design, and the size of the model. This can be really frustrating for some teachers who want to be able to print an entire class’ models and have them ready for the next class period – that won’t happen. It can take hours to print just one model. You have to design your course in a way that allows the students to work on parallel tasks and then you need to have some way of keeping track of the printing queue. These machines are amazing, and we really love our array of 3D Printers, but experience has taught us that there are limitations to what they can make. Because all of these printers essentially work with liquified plastic, there are limits to the geometry of what you can build. As the models are built, they can “sag” or deform under their own weight. This can lead to small deformities, or catastrophic failures. Calibration can also be an issue with some of the less expensive or older printers. 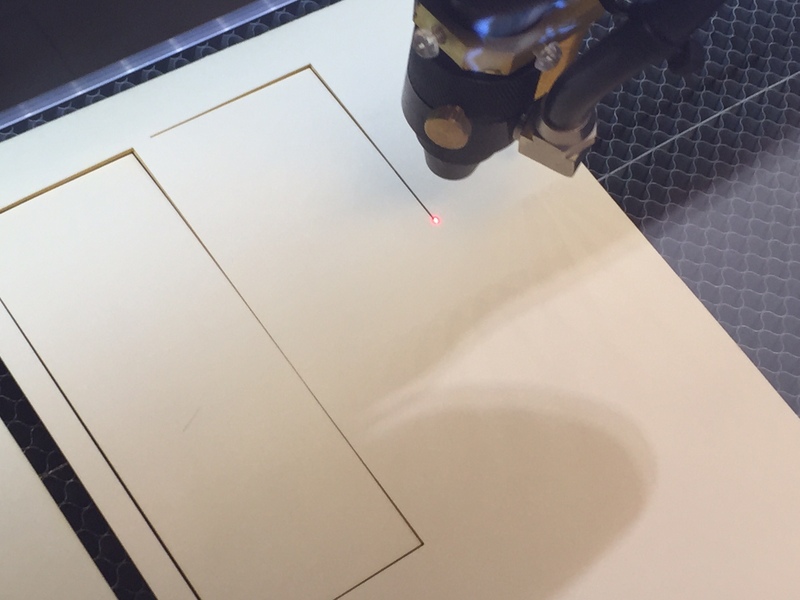 If the build plate is not properly leveled and calibrated, the entire build process can fail. Models with significant “overhang” can collapse, ruining the model. Different printers deal with this slightly differently. Our MakerBots, for example, add “supports” to the model. These are little posts that act to hold up arching forms. The problem with this is that these posts then need to be removed from the model, and we have found this to be less than ideal. It adds extra time to the process because you have to do some post finishing work which can include filing and some sanding. 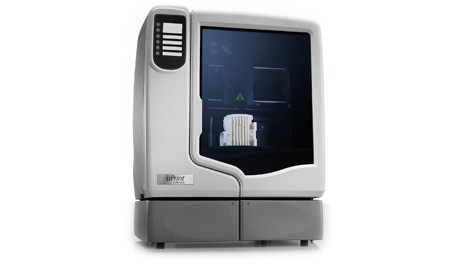 Our uPrint actually adds a soluble support to the model that can be removed using a mild (but still toxic) solution. Again, this post processing adds a significant amount of time to the entire fabrication process. Size is also a limitation. Don’t think for a minute that just because the build plate is 8 inches by 6 inches, that you can build a model with that footprint. You can’t. Once again, because you are dealing with liquified plastic that cools, it also shrinks. The larger the volume of the model, the greater the chance that the model will curl, buckle, and deform. Read the fine print from the manufacturer to get the real build size limit. The last point we want to make is that working with a 3D printing is certainly easier than running a 5 axis CNC mill, but they are not as easy to work with as an actual 2D printer. Adding that extra dimension has its challenges. Plan on spending quite a bit of time learning how to maintain your printer. Just like 2D printers, 3D printers “jam” all the time. The extruded plastic can get stuck in the nozzle and you can come back after several hours of printing and find that the very last cm of the model never printed because the nozzle is completely gummed up! Be aware that these can be infuriating moments that take significant amounts of time to fix. I have spoken to some teachers that got so frustrated that their printers ended up just sitting in a corner of the classroom, tragically unused. Our recommendations are simple. Before you go out and buy one of these things, you have to be willing to put in quite a bit of time to maintain it and learn how to optimize your printer’s performance. There are tricks to optimizing each printer out there, and it will require that you watch some YouTube videos, dig through online support forums and be patient. There are clear and obvious reasons to get one of these if you are running a STEM program, especially one focused on engineering or design. What might not be obvious is that these machines can also be incorporated into mathematics education, and definitely into a 3D art course or sculpture course. There are so many models out there now, and they all claim to be the very best value. Each will obviously have advantages and disadvantages. Ease of use and less expensive generally means that your models will not be as precise or accurate. Inexpensive models can also be difficult to maintain. DLP printers are looking promising. They are coming down in price, they are faster and they are very precise. They can print models using different materials (like castable resin, or flexible resin). On the other hand, keep in mind that they are still more expensive, and they use a somewhat toxic resin that can be a non starter for some teachers. 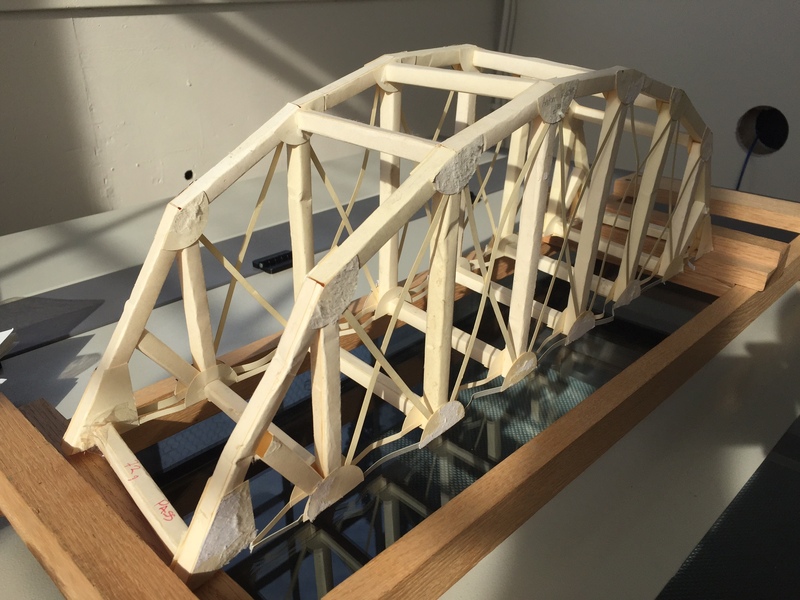 This entry was posted in 3D Printing, Engineering Instruction, Maker Space, Making, News, STEM, Technology and tagged 3D CAD, 3d printing, Academy of Physics and Technology, Advanced Fabrication, Engineering, Maker on June 20, 2015 by Steve Temple.